Reliance Retail has launched the LYF F1S smartphone in their LYF F1 series. This LYF device sports a 5.2-inch 1080p 2.5D curved glass display, with a metallic look on the back of the phone. It is powered by an Octa-Core Snapdragon 652 processor & runs on Android 6.0 (Marshmallow). It has a 16-megapixel rear camera with dual-tone LED flash and a 5-megapixel front-facing camera that also comes with LED flash. The device comes with a 3GB of RAM and 32GB internal storage with a MicroSD card slot offering a storage expansion support of up to 128GB. LYF F1S comes with a hybrid SIM support. It packs a 3000mAh battery with support for fast charging and comes wth USB Type-C Port. The LYF F1S comes in Gold, Silver & Black colors and is priced at Rs. 10,099, which is the cheapest smartphone to be powered by Snapdragon 652 SoC in the country. It also comes with Rs. 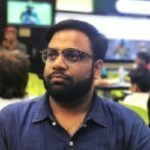 500 JioMoney Cashback so the final price is Rs. 9,599. The smartphone can be bought from Ajio website online. It comes with a 2-year warranty.